I'm literally meant to be packing right now but hey ho, what better time to write a post? 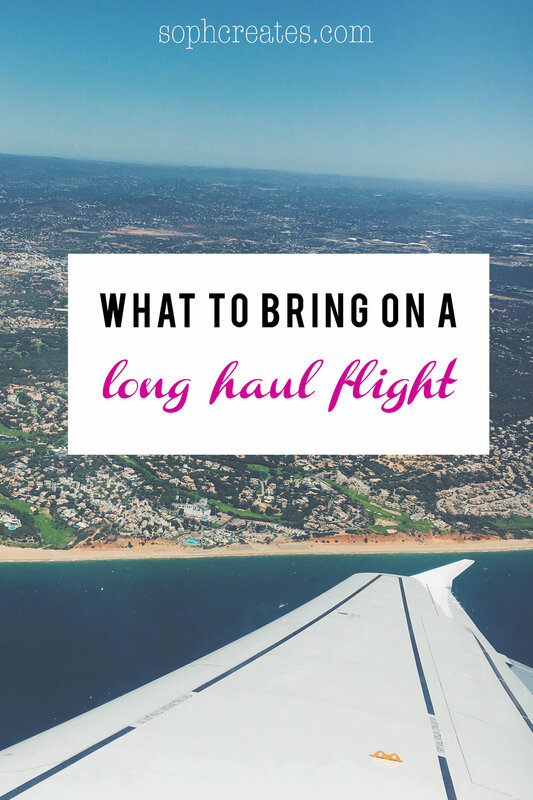 Today we're talking long-haul travel essentials as I'm back off to the UK for my last 6 months there! So in between each fold, place, and stuff - I'm going to be sharing with you my absolute must-haves for those 12 hour flights from Hong Kong to London. Okay, okay this seems obvious but I always see people at the airport fumbling with their roller cases when they could have just carried an extra handbag! This is my bag of choice for the season, which is just big enough to fit my laptop and everything else that I need on hand before I get all set up in my seat. A nice, sturdy bag won't only help you have everything you need immediately, but it looks great too! It's a little kit I put together before each flight so I can pamper myself at 30,000ft! It includes everything from moisturiser to eye-drops and everything in between. One of these can help make you feel like a queen when you're 7 hours in and starting to feel grimey. For a more in depth look at my own revitalise kit check out this post here. Can't board a plane without these bad boys can ya? I have two passport holders at the moment since I go between Hong Kong and Canterbury! I keep all my Hong Kong specific travel cards in one and everything else in the other. It just helps me make sure I don't lose anything or over-fill anything else. Long haul flights are well... long.. but they're also a place where a great idea might hit you and you'll need to write it down. 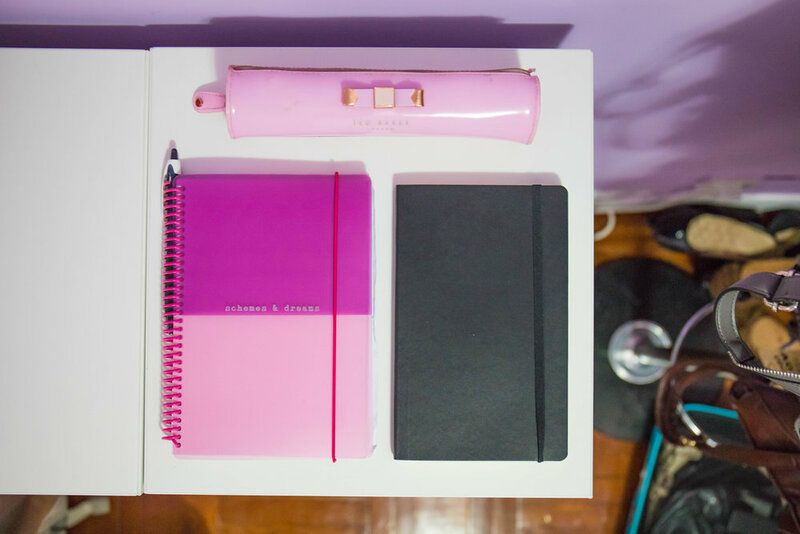 This is especially handy for the bullet journallers and bloggers out there because what better time to organise yourself when there's nowhere for you to go! I'm getting back into bullet journalling so I've got my little books and adorable pencil case ready to go! Now, I know these days you've got every film and game under the sun to play with the in-flight entertainment, but there's nothing like a good book or couple of hours of Mario! Ever since I was a kid I would always take my holiday reading and Nintendo DS on the plane and alternate between the two. I guess even at 20, nothing's changed! Headphones for music because it feels great to drift off listening to your own tunes. Also most headphones fit into the in-flight entertainment so you can wear your own comfy headphones instead of using the ones provided. The glasses case is where I tend to lose people, but aside from the obvious glasses holder, it's a great way to store little things you want on hand that you might lose like extra SD cards, tiny tissue packets, or jewellery! And that's my carry on done! I also wheel around a cute little blue roller-bag where I put other bits and bobs like my laptop charger and an extra sweater for when it's time to bear the cold winds of England. If you're going on a long haul flight what are your essentials? Leave me a comment if I'm missing anything from my list! Download your own packing list here!